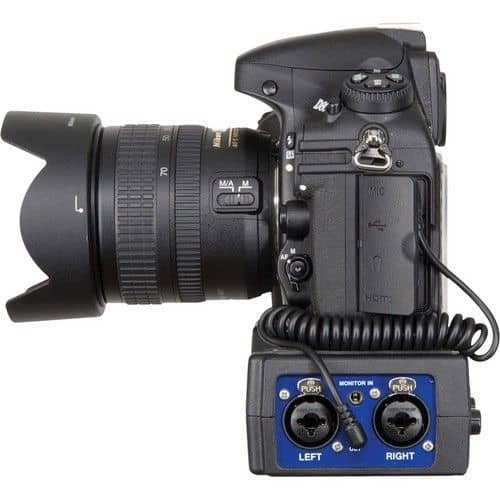 The Beacktek DXA-SLR Pure Passive Audio Adapter for DSLR Cameras is designed for connecting amplified signals from wireless mics or a mixing board to a DSLR camera or camcorder with a mic jack input. 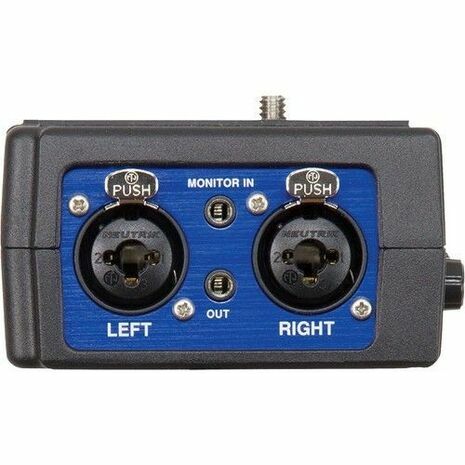 It has two channels and houses two Neutrik combo XLR/TRS connectors and a single 1/8" output. Each channel features its own level control, and you can select between dual mono or stereo operation. 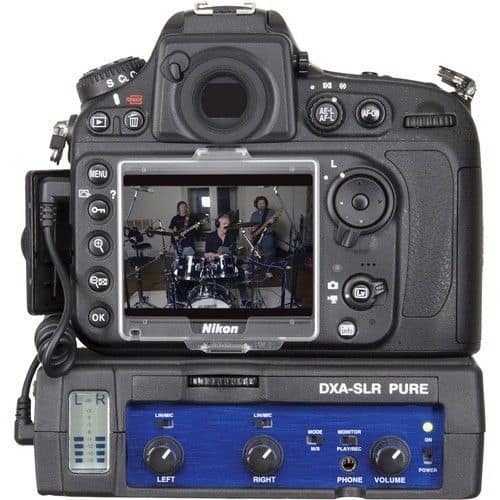 The monitor switch allows you to monitor from the DXA-SLR Pure during recording or from the camera during playback. You can visually monitor your signals with the built-in stereo VU meter. The DXA-SLR Pure can be mounted on the bottom of a DSLR camera or on a standard tripod. 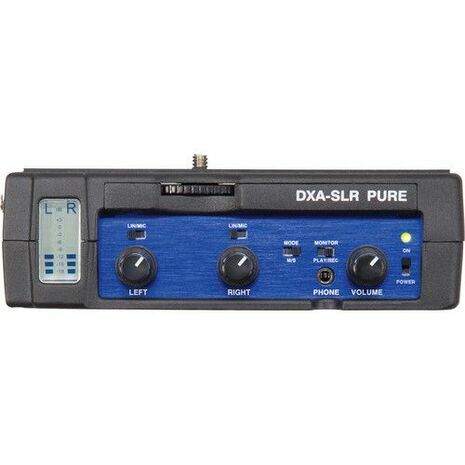 Please note, the DXA-SLR Pure is a passive adapter that does not provide amplification or phantom power. 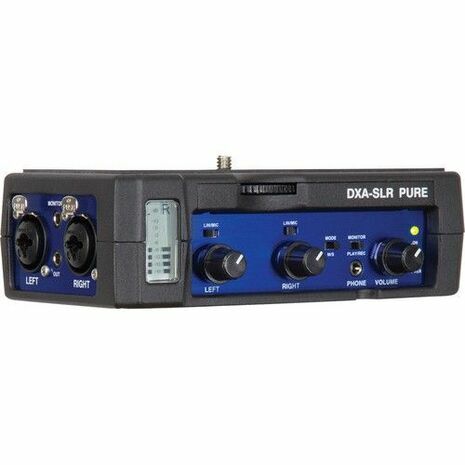 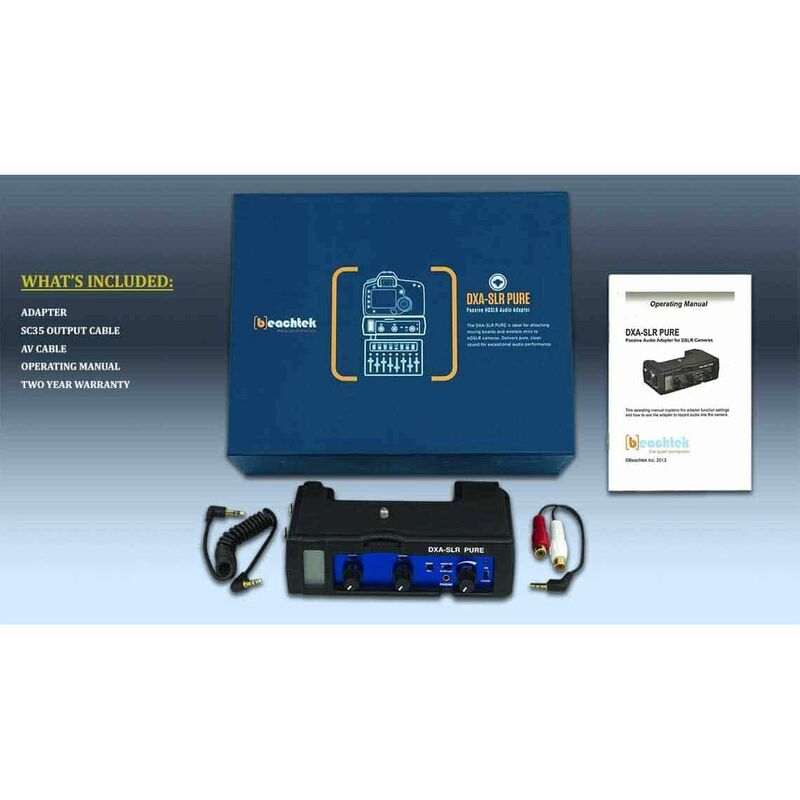 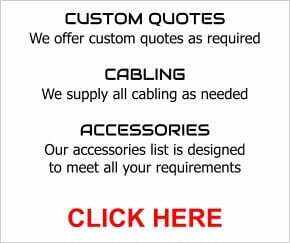 It is designed to be used to connect wireless mics or mixing boards only, not wired microphones.